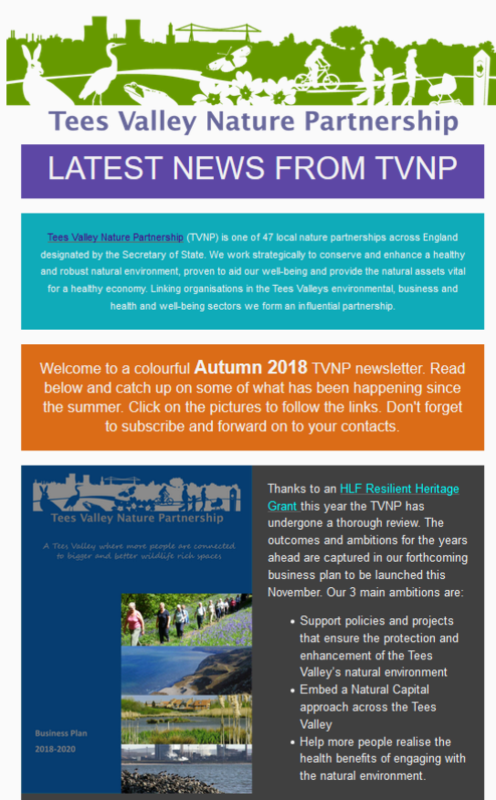 Timothy Crawshaw, Chair of TVNP states ‘Our work over the coming years will embrace the emerging opportunities and will focus on creating the business case for investment in the natural environment, securing benefits for the economy, communities and the environment. In this Business Plan we outline the key activities that the Partnership will undertake to achieve this ambition. We are pleased to welcome our latest addition to the Tees Valley Nature Partnership. 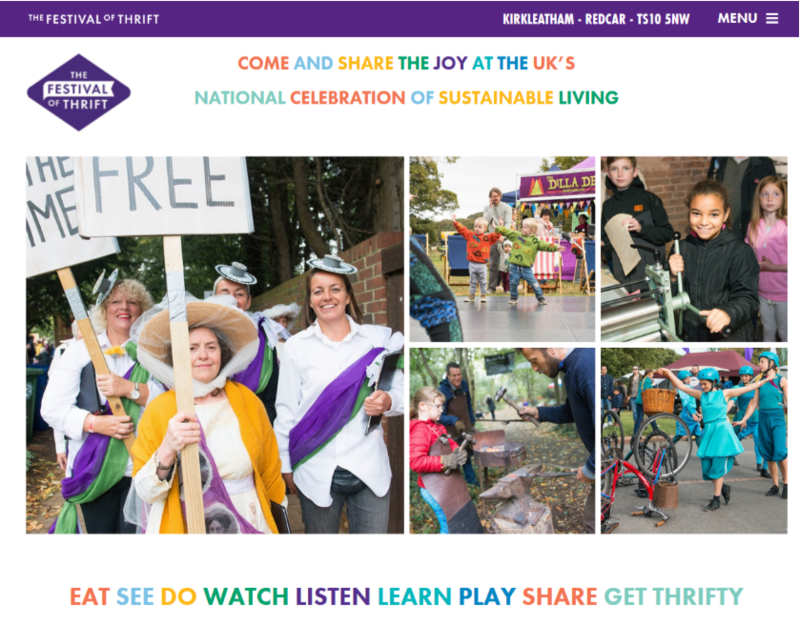 This ever popular, creative celebration of sustainable living has continued to go from strength to strength and attracts around 35-40 thousand visitors a year.’ It’s not just a 2 day event’ either as Stella Hall, Festival Director affirms ‘its the culmination of a years activities across the Tees Valley and a launching point for projects and initiatives going forward into the next year’. Come this September along and visit many of our partner organisations that attend the event to promote the great work they do. Thanks to £10,000 of National Lottery funding from the Heritage Lottery Fund (HLF) under the Resilient Heritage Grant fund. 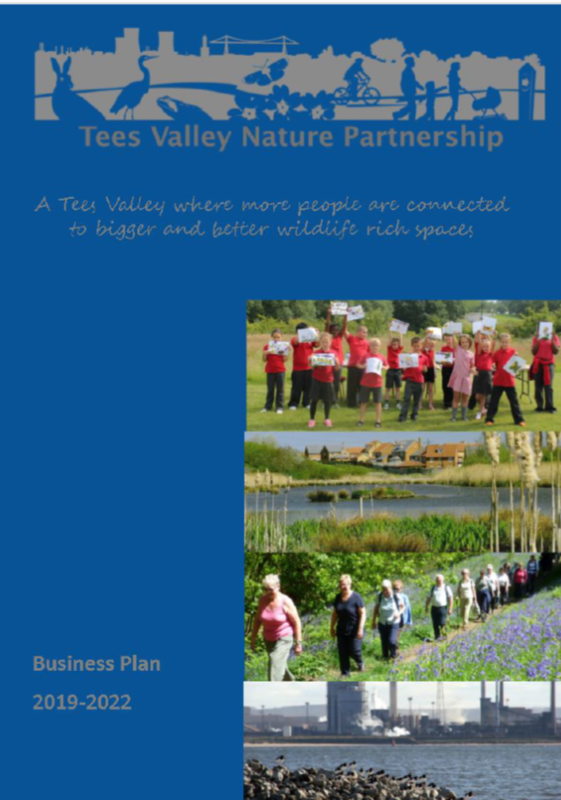 The partnership has had almost a year for review, reflection and research and on the way gained new supporters and a higher profile for a partnership that will contribute to ensuring the future of nature and wildlife across the Tees Valley. Building on our existing success the review identified new opportunities and priorities too. These are detailed in our new business plan which in turn has helped us secure further funding to run the partnership until March 2020. Made possible by money raised by National Lottery players, the project will help to develop a partnership that is confident, sufficiently resourced and accountable. This comes at a key time in the recent evolution of the Tees Valley with the new Tees Valley Combined Authority and South Tees Development Corporation. By strengthening the nature partnership, it (we?) can give a clear and loud collective voice to nature to ensure it is protected, enhanced with new opportunities for people to appreciate it. This will assist these key organisations in delivering positive change in the Tees Valley. Commenting on the award, Timothy Crawshaw, Chair of the Tees Valley Nature Partnership said: “We are thrilled to have received this support, thanks to National Lottery players all the organisations and groups involved in nature across the Tees Valley will be able work more effectively together to help ensure a bright future for our nature and wildlife”. Response to the Consultation on the Environmental Principles & Governance after the UK leaves the EU. LNPs have been cited as part of the implementation of the Government’s 25 Year Environment Plan (25 YEP) through the development of Local Natural Capital Plans. In this light it was disappointing to see no mention of their role in this consultation document. We believe as individual LNPs and a national network we can play a very important part in delivery of the (25 Year Environment) plan provided we are properly resourced and empowered. We welcome and commend the comprehensive coverage in the document of past, present and proposed future governance arrangements as well as some international comparisons. We also applaud the Government’s determination, frequently emphasised, to ‘leave our environment in a better state than that which was inherited’. This ambition should be strengthened with specific targets as “better than” is open to very wide interpretation. We consider it worthwhile to look back at the history of environmental regulation and protection and consider why, as a totality, it has not been successful. In some aspects of environmental regulation, such as water and habitats, decarbonisation of the grid and uptake of renewables, there are strong foundations to build on and it will be essential that the new body does not allow this progress to be reversed. In other aspects, the direction of travel has been largely in a negative direction as evidenced in the State of Nature Report… It is essential to use this opportunity to simplify and clarify existing arrangements while retaining and enhancing protection of the environment if the outcomes we all desire are to be achieved. This also applies to the system of designations which can be totally baffling to anyone not fully immersed in them. The principle of proportionality as outlined in paragraph 41 should be a key underlying prerequisite. We would assert in line with our understanding of Natural Capital Principles that a healthy environment underpins a healthy economy and a healthy population. In other words it is a prerequisite of prosperity rather than a competing agenda as implied in some of the wording. It therefore should have the very highest priority and where conflicts exist the environment should be accorded precedence. If a regenerative approach with a circular economy is adopted as well as the net gain principle implemented, we believe much potential conflict can be avoided…. In summary, this document and the proposed legislation is welcomed overall and very much needed. However, we do not believe that what is proposed in the consultation is yet adequate to ensure effective future oversight of environmental legislation and we make recommendations as to how it could be strengthened. We would welcome an opportunity to comment on a more detailed proposal after this consultation and offer the support and engagement of the nature partnerships in the next stages. This report has been prepared by Vic Fairbrother of Teesmouth Bird Club (TBC), with input from the British Trust for Ornithology (BTO), Tees Valley Wildlife Trust (TVWT) and RSPB. TBC has been monitoring the birds of Teesmouth since 1960. This report is intended to act as a ‘signpost’ for planners, ecologists, developers, consultants and other land-based professions to a critical list of birds of conservation concern in the Tees Valley. 25 Year Environment Plan Published! It is this Government’s ambition to leave our environment in a better state than we found it. We have made significant progress but there is much more to be done. The 25 Year Environment Plan that we have published today outlines the steps we propose to take to achieve our ambition. Environment is – at its roots – another word for nature, for the planet that sustains us, the life on earth that inspires wonder and reverence, the places dear to us we wish to protect and preserve. We value those landscapes and coastlines as goods in themselves, places of beauty which nurture and support all forms of wildlife. Respecting nature’s intrinsic value, and the value of all life, is critical to our mission. For this reason we safeguard cherished landscapes from economic exploitation, protect the welfare of sentient animals and strive to preserve endangered woodland and plant life, not to mention the greening of our urban environments. But we also draw from the planet all the raw materials we need to live – food, water, air and energy for growth. So protecting and enhancing the environment, as this Plan lays out, is about more than respecting nature. It is critical if the next generation is to flourish, with abundant natural resources to draw on, that we look after our and their inheritance wisely. We need to replenish depleted soil, plant trees, support wetlands and peatlands, rid seas and rivers of rubbish, reduce greenhouse gas emissions, cleanse the air of pollutants, develop cleaner, sustainable energy and protect threatened species and habitats. Previous Governments, here and in other nations, have made welcome strides and driven environmental improvement. Yet as this 25 Year Plan makes clear, there is much more still to do. We must tread more lightly on our planet, using resources more wisely and radically reducing the waste we generate. Waste is choking our oceans and despoiling our landscapes as well as contributing to greenhouse gas emissions and scarring habitats. The success of the 5p plastic bag charge in reducing the use of carrier bags by 85% shows the difference which government action can make, and demonstrates that protecting our environment is a job for each one of us. The Plan outlines ways to reduce the use of plastics that contribute to pollution, and broader steps to encourage recycling and the more thoughtful use of resources. Over the lifetime of this Plan, we want to eliminate all avoidable plastic waste. The Government’s Clean Growth Strategy – the sister document to this Environment Plan – sets out how we will deliver the clean, green growth needed to combat global warming. We will do what is necessary to adapt to the effects of a changing climate, improving the resilience of our infrastructure, housing and natural environment. Population growth and economic development will mean more demand for housing and this Government is committed to building many more homes. However, we will ensure that we support development and the environment by embedding the principle that new development should result in net environmental gain – with neglected or degraded land returned to health and habitats for wildlife restored or created. Most of our land is used, however, for agriculture not housing. The new system of support that we will bring in for farmers – true friends of the earth, who recognise that a care for land is crucial to future rural prosperity – will have environmental enhancement at its heart. We will support farmers to turn over fields to meadows rich in herbs and wildflowers, plant more trees, restore habitats for endangered species, recover soil fertility and attract wildlife back. We will ensure broader landscapes are transformed by connecting habitats into larger corridors for wildlife, as recommended by Sir John Lawton in his official review. Our plan for a new Northern Forest, to which we’re contributing more than £5 million, will be accompanied by a new review of National Parks and Areas of Outstanding Natural Beauty. Planting more trees provides not just new habitats for wildlife – it also helps reduce carbon dioxide levels and can reduce flood risk. We will work with nature to protect communities from flooding, slowing rivers and creating and sustaining more wetlands to reduce flood risk and offer valuable habitats. Beyond our coastlines, we must do more to protect the seas around us and marine wildlife. Leaving the EU means taking back control of the waters around these islands. We will develop a fishing policy that ensures seas return to health and fish stocks are replenished. We will also extend the marine protected areas around our coasts so that these stretches of environmentally precious maritime heritage have the best possible protection. Internationally, we will lead the fight against climate change, invest to prevent wildlife crime, pursue a ban on sales of ivory, and strengthen partnerships to tackle illegal wildlife trade beyond borders, including investigating the feasibility of an anti-poaching taskforce. We will underpin all this action with a comprehensive set of environmental principles. To ensure strong governance, we will consult on plans to set up a world-leading environmental watchdog, an independent, statutory body, to hold Government to account for upholding environmental standards. We will regularly update this Plan to reflect the changing nature of the environment. While this 25 Year Environment Plan relates only to areas for which HMG is responsible, we will continue to work with the devolved administrations on our shared goal of protecting our natural heritage. These actions will, we hope, ensure that this country is recognised as the leading global champion of a greener, healthier, more sustainable future for the next generation. Comments Off on 25 Year Environment Plan Published!